Magic Mustang Music has signed an exclusive worldwide administration deal with Big Loud Bucks Administration & Information. Under this new partnership, Big Loud Bucks will also be responsible for the administration of master recordings on behalf of Broken Bow Records and Stoney Creek Records. The current roster at Magic Mustang consists of Jason Aldean, Rob Hatch, John Edwards, Westin Davis, Garrett Parris, Angie Broberg, Ash Bowers, Blake Wise, Sherrie Austin and Thompson Square. 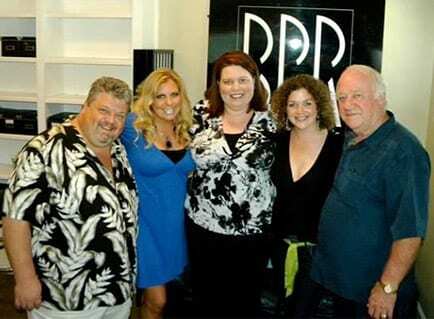 (L-R): Craig Wiseman, Owner, Big Loud Bucks/Big Loud Shirt; Heather Buresh, Dir. of Publishing Administration, Big Loud Bucks; Jill Napier, Exec. VP, Big Loud Bucks; Juli Newton Griffith, Creative Director, Magic Mustang Music; and Benny Brown, CEO/President, Broken Bow Records.